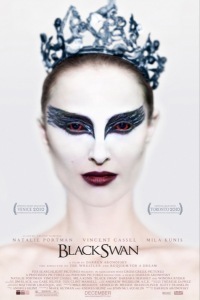 Black Swan is most definitely a ballet movie, but it is leagues away from The Red Shoes or The Turning Point. A psychological thriller that is set in the high-pressure world of professional New York City ballet, Black Swan stars Natalie Portman and Mila Kunis as battling ballerinas. Directed by Darren Aronofsky (The Wrestler, Requiem for a Dream), Black Swan takes its name from the iconic ballet at the center of the drama — Swan Lake. Portman’s character’s unyielding drive to become the Swan Queen in the company’s production leads to jealousy, paranoia and borderline madness. The cast, beyond Portman and Kunis, is impressive including veteran Barbara Hershey as Portman’s former ballerina mother, Winona Ryder as the outgoing ballet company’s prima ballerina and the always fantastic Vincent Cassel as the company’s artistic director whose romantic passions are sought after by Kunis and Portman, which only adds to the paranoia and jealousy. Portman’s Nina has the inside track for the lead role in the company’s season kick-off production of Swan Lake, but as her obsession with the role begins to consume her, Kunis’ Lilly begins to impress the artistic director only further intensifying Nina’s world which is slowly falling apart.